Patient financing that can save you thousands. With more and more patients desiring the latest laser skin procedures and facial injectables, we make it easy – and less expensive – for you to meet the need. All without any hidden fees, costs, or hassles to your dermatology practice. We pride ourselves on our high approval rates. More approvals mean more happy patients and more revenue for you. We can approve loans of up to $35,000 so you can sell more of your high-ticket services. That leads to stronger cash flow and increased earnings. We charge no fees for prime loans. Plus, pay nothing for enrollment, continued membership, or promotional financing. We transfer funds to your practice within days, via direct deposit. That means no waiting to get paid and no billing or collections headaches. We make it easy to grow your practice or med spa. Our seamless, paperless process works with any mobile, tablet, or computer, can be completed right in your office, and funds you quickly and directly. You’ll also have free technical and marketing support, plus a dedicated Relationship Manager always on-hand to provide expert guidance and help you reach your business goals. It’s everything you need to maximize the potential of financing. 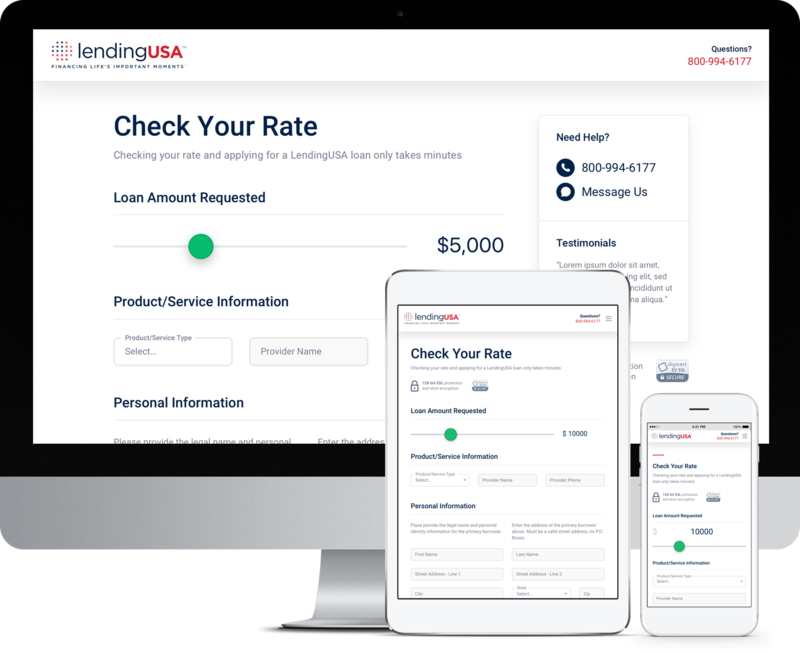 Use LendingUSA and save thousands. All our loans automatically come with our promotional financing offer. Best of all, we charge no fees for prime loans, so you keep more of what you earn. Try a free demo and find out more today.